Display your outfit coordination chops by opting for this laid-back pairing of a grey print oversized sweater and black leather skinny pants. To add a dose of playfulness to your outfit, complement your ensemble with black and white canvas low top sneakers. Why not consider wearing a Stussy grey print oversized sweater and blue boyfriend jeans? As well as totally comfortable, these items look cool when worn together. Add blue sequin pumps to the equation to instantly kick up the glam factor of this look. For comfort without the need to sacrifice on good style, we love this pairing of a Stussy Sweatshirts from yoox.com and blue ripped boyfriend jeans. Serve a little mix-and-match magic by wearing black suede pumps. If you're on a mission for a casual yet totaly stylish ensemble, try pairing a Stussy Sweatshirts from yoox.com with teal jeans. Balance your outfit with a more refined kind of footwear, such as this pair of brown leather heeled sandals. This casual pairing of a Stussy Sweatshirts and a black skater skirt is clean, incredibly stylish and oh-so-easy to replicate! Add a pair of black suede over the knee boots to your look to completely switch up the outfit. A Stussy Sweatshirts and blue boyfriend jeans are wonderful staples that will integrate well within your off-duty routine. Give this outfit an added dose of style with a pair of white plimsolls. For an outfit that provides function and fashion, try teaming a grey print oversized sweater with a black pleated mini skirt. Why not opt for a Stussy grey print oversized sweater and blue skinny jeans? Both items are totally practical and look great married together. If in doubt about what to wear in the shoe department, stick to tan wedge sneakers. 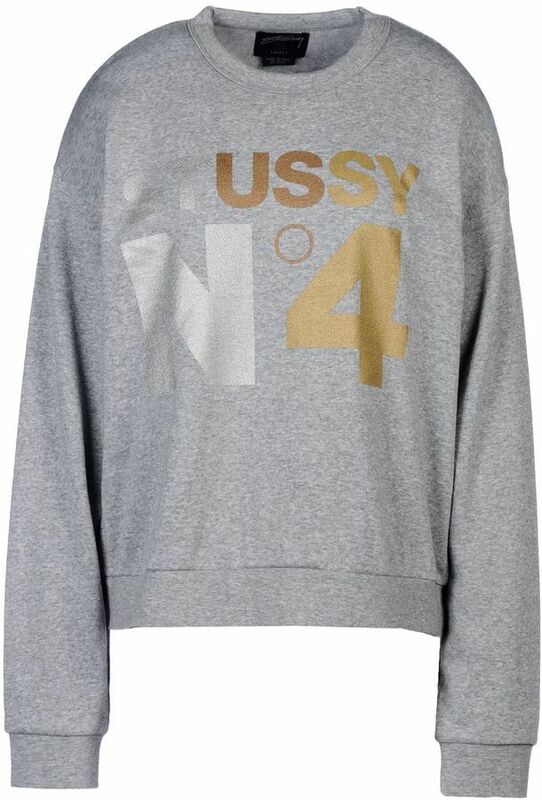 A Stussy Sweatshirts from yoox.com and black leggings are a great combination worth incorporating into your casual routine. Red rain boots are a fail-safe way to add a dash of stylish nonchalance to your outfit.